Walmart is worth half as much as Amazon but has paid 46 times more income tax since 2008 — $64 billion versus Amazon's $1.4 billion, writes Scott Galloway, an NYU marketing professor. "The most uncomfortable question in business, in my view, is how do we pay our soldiers, firefighters, and teachers if a firm can ascend to $460 billion in value (#5 in the world) without paying any meaningful corporate taxes," writes Galloway, author of the forthcoming The Four, an examination of Big Tech. Why Amazon pays so little: Amazon is worth a lot to investors, but since its founding has plowed almost all its profit back into the business: Since 2008, Walmart has earned $229 billion before tax and paid dividends; Amazon has reported just $14 billion in profit, with no annual cash payout to shareholders. 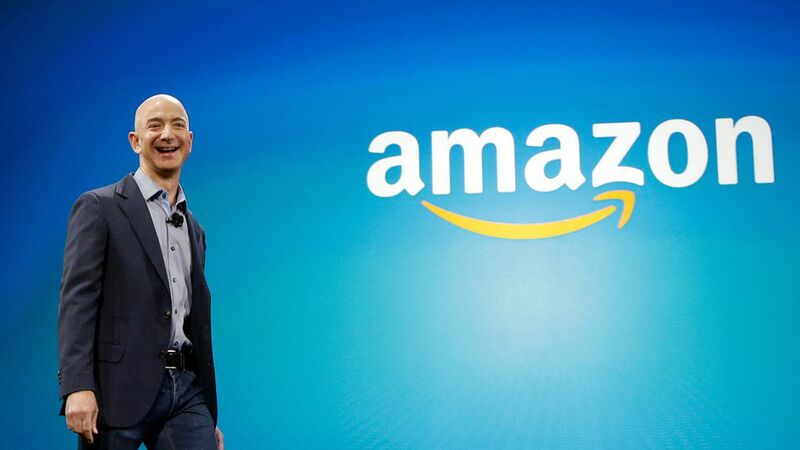 Investors are patient: Amazon shareholders have met this strategy with patience, which can be seen in the ratio of its stock price to profits over the past twelve months. The most valuable company in the world, Apple, is worth roughly 18 times more than it earned in profits over the past year, while the second most, Google, is worth 33 times. For Amazon, that figure is a whopping 247. Apple, Google, and Amazon have similar public profiles — they are ultra-powerful tech companies that have grown to dominate their respective markets over the past two decades. But Wall Street sees them as completely different beasts. The relatively low ratios of price to profits for Google and Apple indicate that investors see them as mature and predictable. Amazon, on the other hand, is still viewed as a growth company whose ultimate potential is still unknown. Why it matters: For Amazon to justify its price-to-earnings ratio, it will eventually have to report much higher profits, and there is no indication that it will do this by raising prices and cutting back investment in itself.